Magento is an open-source content management system for e-commerce web sites. Magento eCommerce CMS is a much-needed tool in today’s competitive digital world. By using Magento eCommerce CMS, online merchants are in charge of the look, content and functionality of their websites. What makes Magento so popular? The most obvious reason is that Magento eCommerce CMS can host 500,000 products on a single site and handle 80,000 orders per hour. What’s more, Magento gives you the flexibility to add third-party apps and extensions like Shipper3, an automated shipment processing system. Built for flexibility, Magento is an open-source CMS that is regularly upgraded by developers. Magento also enables you to optimize merchandising with quality images and product descriptions targeted to your ideal customer, and reduce shopping cart abandonment with a frictionless shopping experience. You can easily configure your online Magento store to be compatible with virtually all mobile devices. The Magento developer community offers hundreds of apps and extensions to enhance and optimize your site’s functionality and performance. Magento eCommerce CMS is designed to help you form and nurture relationships with returning customers. What is New in Magento 2.0.7? The latest version of Magento Community Edition is 2.0.7 version. This release includes one functional fix. Backward-incompatible changes are documented in Magento 2.0 Backward Incompatible Changes. The payment gateway now works as expected in a Magento installation running PHP 7.0.3. Previously, when you would place an order in an installation running PHP 7.0.3, the checkout page would become unresponsive, and the transaction would not appear in the payment gateway. (GITHUB-2984, GITHUB-2878,GITHUB-3305, GITHUB-4076). Our technology stack is built on PHP and MySQL. Magento 2.0.1 and later support PHP 5.5, 5.6, 7.0.2, and MySQL 5.6. For more information, see System Requirements. Why You Should Use Magento? Possibly the biggest advantage of using Magento over other ecommerce platforms (especially premium ones), is the huge global developer following it has. This adds a lot of value as lots of common issues and errors are documented on various different forums and blogs, helping store owners to overcome issues without having to use a consultant / agency / contractor. There’s also lots of developer resources / guides around online, as well as MagentoU and the Magento certifications, which cover lots of the Magento core and validate a developer’s ability. The community edition of Magento is highly scalable and is suitable for retailers of all sizes. With larger retailers based on the community edition. There are retailers that are turning over £20m+ online using the community edition of Magento without having any reason to look to migrate or move onto the enterprise edition. Smaller retailers who are using Magento Community can operate knowing that their platform will allow them to grow considerably without hindering them. Because so many different solutions integrate well with Magento (such as Salesforce and various different EPOS systems), retailers can also grow with the help of third-party software that can be fully integrated with the platform. Although out of the box Magento isn’t particularly good for SEO, it can easily be tamed with the help of third-party modules. The basic elements of SEO are already covered with Magento, such as meta content, use of the canonical tag, top-level URLs, search-friendly URLs, redirecting functionality etc. One of the key benefits of using Magento over other platforms is that it’s open source, meaning, amongst other things, it’s more flexible for developers, it’s more accessible (in terms of cost) and it’s more secure. There are thousands of Magento developers and agencies all over the world, meaning that if you get burnt by an agency / developer and want to move away, you’ve got the option. There are so many good agencies out there with experience and you’re not tied to a single provider unless you sign a contract. Magento is filled with all kinds of functionality out of the box and has everything you need to run a standard ecommerce shop. In addition to the obvious things you’d expect out of the box, you’ve got a flexible product catalogue (which can be built into a product feed), a Magento module to help you create a mobile app / website, gift code / card functionality and lots more! How to choose the best and cheap Magento 2.0.7 hosting? Choosing the best and cheap Magento 2.0.7 hosting is not a simple task especially with low price offers. You need to take a large number of factors into consideration, including the Magento 2.0.7 compatibility, usability, features, speed, reliability, price, company reputation, etc. Therefore, we have established this Magento 2.0.7 review site, which is designed to help you find the best and cheap Magento 2.0.7 hosting within minutes, based on our specialized editors’ Magento 2.0.7 hosting experience and real customers’ feedback. 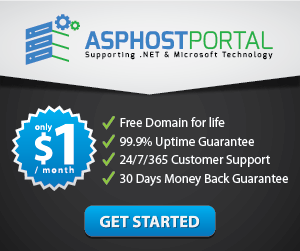 The ASPHostPortal.com’s ASP.NET hosting platform on Windows 2012 and Windows 2008 is compatible with Magento 2.0.7 hosting. Of course, you can feel very comfortable with their hosting service. Their best and cheap Magento 2.0.7 hosting plan is starting from $5.00/mo only. And with their promo code, you can get free domain too. Not only that, they also offer 30 days money back guarantee. Their servers are 99.99% uptime, it is important think that you need for your Magento site, so your site is never down. 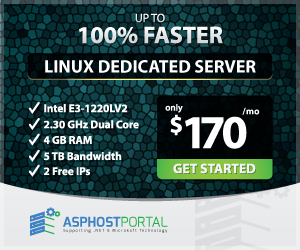 ASPHostPortal.com provides Magento-optimized managed hosting solutions for online merchants of all sizes. Since 2008, they’ve been committed to delivering superior performance, reliability, security, and support to their clients. 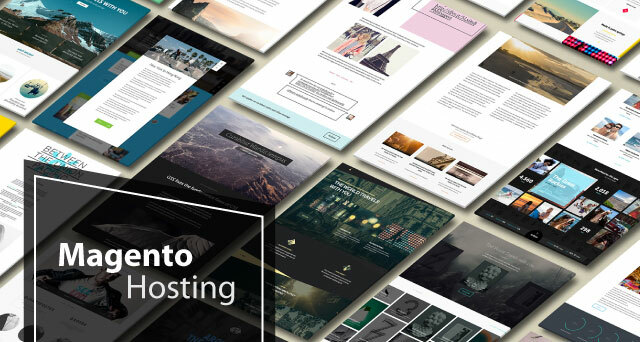 Every Magento hosting deployment is engineered from the ground up to be responsive, scalable, and cost-effective. UKWindowsHostASP.NET is an advanced web hosting company specializing in Magento eCommerce hosting solutions. UKWindowsHostASP.NET combines the fastest, most reliable hardware in the industry with the highest performing infrastructure, to create an optimal environment for hosting eCommerce sites. Backed by a superior 24/7 customer support team, the UKWindowsHostASP.NET platform maintains an unsurpassed level of quality, innovation and performance in order to provide customers reassurance that his/her eCommerce store will be supported by the hardware and resources needed to maximize revenue. Their cloud and dedicated web hosting packages offer flexible, fast and secure support for your Magento site hosted in their state of the art Australia data centers. With reliable handling for any volume of traffic their Magento web hosting is fast, dependable and secure.